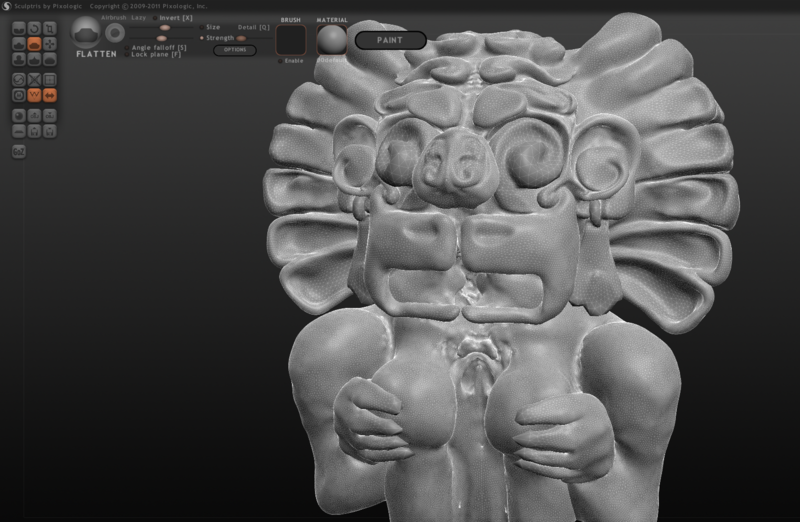 Modeling Tlaloc . . . It is amazing me how far software has evolved over the past 3 years, the transition from the two dimensional realm towards the three dimensional realm has changed everything . . . while modeling in 3d this new software paradigm allows you to think and design the way an artist thinks and not as a programmer. Its truly a revolution within the industry. AZTEC – god of rain, fertility, and water. He was a beneficent god who gave life and sustenance, but he was also feared for his ability to send hail, thunder and lightning, and for being the lord of the powerful element of water.